Will My Aftermarket Vance & Hines Pipes Get Me a Ticket in California? I have a 2011 Harley-Davidson Softail with Vance & Hines Big Shot Longs that were installed by the Dealership. I would like to ride the coast of California. Will I have trouble with law enforcement over the Noise Level? I live in [the Midwest]. Thanks for your email. 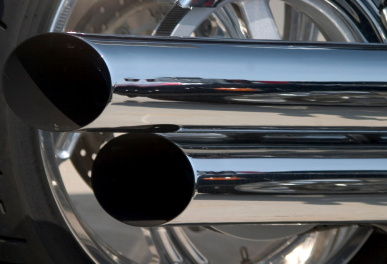 According to California statute, the noise limit for motorcycles made after 1985 is 80 decibels. (Older bikes are allowed to be a little louder). I researched your Vance & Hines big shots and, according to numerous owners, it looks like your pipes are probably a bit louder than the 80 decibel limit here in California. Also, a new state law was recently passed here, called the Motorcycle Anti-Tampering Act, which provides that for all motorcycle models 2013 and newer, any aftermarket pipes that do not carry an EPA stamp will be ticketable. This new law won’t affect you since your bike is a 2011. 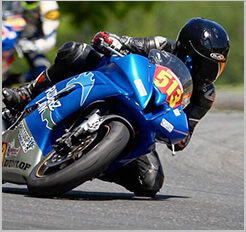 I know you are looking for a less technical, and more practical answer, so here is what I can tell you from personal experience and from riding with guys with loud pipes. Generally, unless pipes are obnoxiously loud, most police departments will not hassle you. This, however, can change from town to town as you drive the coast. Some law enforcement agencies are tougher than others. Laguna Beach has been known to be a little tough, I’ve been told, as have Huntington Beach, Long Beach, and some parts of San Diego county — basically, certain beach cities south of Los Angeles. Each year it seems like more and more cities are cracking down on us bikers. Nonetheless, I’ve ridden with lots of guys with loud pipes who have never had a problem anywhere along the coast. The best advice I can give you to help avoid getting a ticket for loud pipes is to (1) wear a legal, DOT-approved helmet (not a brain bucket, shell, novelty helmet, or whatever you want to call them), and (2) most importantly, DON’T REV YOUR ENGINE when you’re stopped in town, at a traffic light, etc. If you follow these two simple rules, you will dramatically decrease the chances of having any problems with law enforcement. At MRO (motorcycle rights organization) meetings, I always encourage bikers to let us know if they have problems with local law enforcement so that we can keep a record of it — and provide better information to other riders. If you get hassled by the cops over your pipes, let us know! Above all, have a great trip. Going up the Pacific Coast Highway is one of my favorite rides. This email is written for informational purposes only and is not to be construed as legal advice. It’s not the noise that California has the law for…it’s the EPA. The California law was passed to force motorcycles to confirm to the stricter emission laws that cars have been falling under for years. While I hear folks complain about the loudness of pipes on occasion, the State itself doesn’t care about that end of it. Those loud pipes are saving our butts on a regular basis…..